#westernma #yahoo #espn #sports — Yahoo Sports Radio is looking like it will challenge ESPN for sports talk dominance. 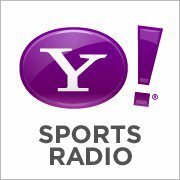 Never hear of Yahoo Sports Radio? You may know it as Sporting News radio. Yahoo may have the swag to go deep on ESPN. Posted on August 4, 2011, in Radio and tagged broadcasting, espn, media, radio, talk, yahoo. Bookmark the permalink. Leave a comment.